Gran Canaria, the second most populous and the third largest among the Canary Islands, has continuously seen an increase of visitors each year. Consequently, the Gran Canaria Airport or Las Palmas Airport, the only one on the island, has quickly risen from its humble beginnings to becoming the 6th busiest airport in Spain in 2016. Millions of people have gone to and from the island, making it the gateway to a melting pot of varying cultures. 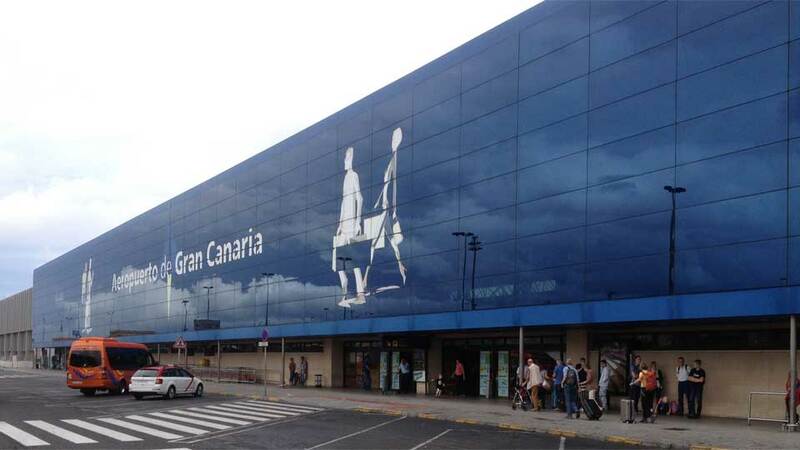 The Gran Canaria Airport has come a long way from its opening in the April of 1930. Initially built for military purposes, changes started to happen after King Alfonso XIII signed a royal decree opening the then airfield to the public. Soon thereafter, it became one of the most important, if not the most important portal that connects the Canary Islands to the world. It’s an essential link in the air-transport network of Spain. From just over 9 million back in the year 2000, the airport has been serving more and more passengers each year, reaching more than 12 million in the year 2016 alone. This is aside from over 18,000 tons of cargo handled and over 100,000 flights operated. With the rise of the island’ popularity as a European holiday destination for individuals, couples, and families, the authorities are making sure that improvements in infrastructures are implemented each year. That said, don’t be surprised if a new terminal or more facilities pop up the next time the family visits. The airport in Gran Canaria is owned and run by the public enterprise Aena. Currently, a lot of the flights are coming in from 11 countries in Africa and 38 countries in Europe. The airport bridges the island to the world with flights that connect it to a total of 118 destinations. The busiest include Germany, Netherlands and the UK in its European routes, together with Morocco and Cape Verde in its African routes. The airport, home to the airlines of Navegacion y Servicios Aeros Canarios and Binter Canarias, also welcomes flights within the Canary Islands. Internationally, it caters to several airlines like British Airways, Icelandair, Air Europa, EasyJet, Thomson Airways, and Germania, to name a few. But its function isn’t limited to passenger flights. The east wing of the runway is also a Spanish military airbase. Moreover, it has been designated as an alternative NASA landing site before the Space Shuttle Program ended in 2011. Strategically located 18 kilometers from the capital city of Las Palmas, the Gran Canaria airport is close to the Bay of Gando on the island’s east coast, which is why it is also sometimes called the Gando Airport. As it is in a very good location, arriving guests can easily reach any point on the island via taxi, bus, or rental car. Minimum taxi charge is at €3.15 on weekdays and daytime, and €3.45 on weeknights, holidays and Sundays. Additional charges per kilometer apply and all taxis from the airport travel intercity. For those who prefer using the impressive public transport system on the island, Bus Route 5 connects the airport to main destinations like Las Palmas (€2.30), Puerto de Mogan (€6.80), and Maspalomas (€4.05). For those fond of moving around at their own pace, Top Car AutoReisen, Goldcar, AutoReisen, Hertz, or Avis are just some of the options available for car rental. Normally, prices differ depending on the types of car and the length of use so it’s advisable to do research and book in advance. In every holiday destination, it is always a wonderful thing to know that a complete and modern airport is available. Fortunately, in Gran Canaria, the Las Palmas Airport is easily accessible internationally and locally. The best part is that each year, it caters to more and more wandering souls who wish to have their best holiday vacations in the Canaries.